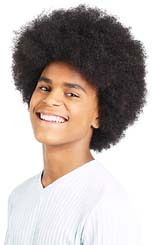 Josh is soccer-mad and can't wait to show off his ball skills to his new classmates. After all, he is the nephew of Ossie Williams – the best footballer in the country. Josh's arrival helps to give shy Matthew more confidence, but it is not welcomed by Rajesh, the school goalkeeper and captain. With important seven-a-side tournaments coming up, will the players be able to settle their differences and work together as a team? 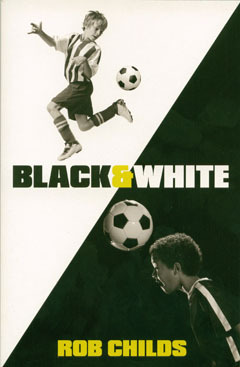 Black & White by Rob Childs is a great story about football for boys and girls. It's got all the things a good football story should have like friendship and teamwork and girls on the team plus it touches on some of the negative aspects such as racism. Black & White by Rob Childs is available to buy now.